Is the Global Middle Class Really Here to Stay? 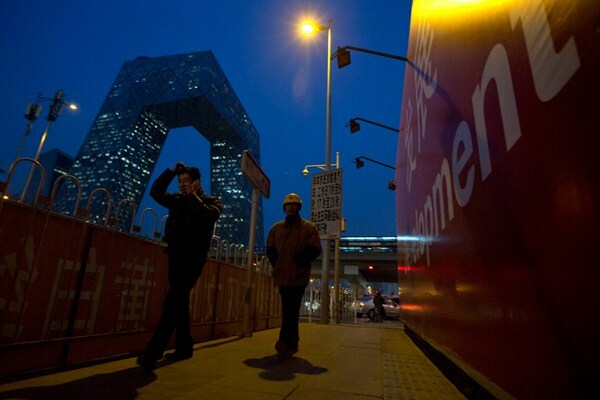 Chinese men next to a billboard with the word "Development" in the central business district, Beijing, China, Dec. 11, 2014 (AP photo by Ng Han Guan). The rise of a global middle class has been one of globalization’s great victories, but the surge in income and consumption in the developing world may be more of a temporary anomaly than a long-term trajectory. Some developing countries have ridden a commodities super-cycle to middle-class status, but most never made it or were far too late with the investments that might have converted the boon into more sustainable growth paths. Commodities are cyclical, and the global middle class may prove to be so as well.